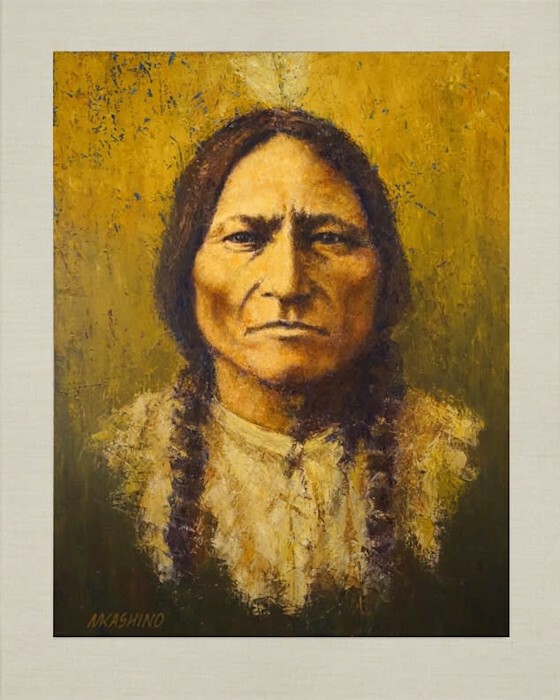 Sitting Bull (Lakota: Tȟatȟáŋka Íyotake tˣaˈtˣə̃ka ˈi.jɔtakɛ in Standard Lakota orthography, also nicknamed c. 1831 – December 15, 1890 was a Hunkpapa Lakota leader who led his people during years of resistance to United States government policies. 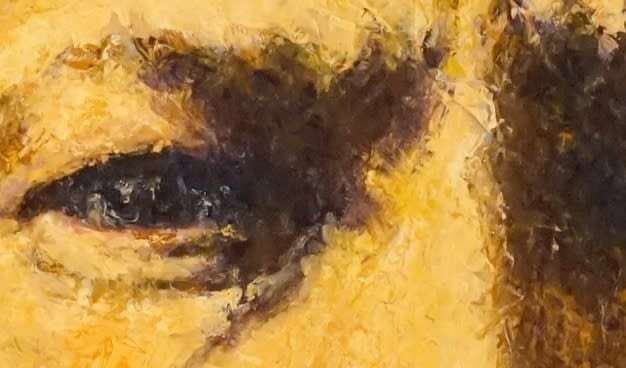 Before the Battle of the Little Bighorn, Sitting Bull had a vision in which he saw many soldiers, "as thick as grasshoppers," falling upside down into the Lakota camp, which his people took as a foreshadowing of a major victory in which a large number of soldiers would be killed. About three weeks later, the confederated Lakota tribes with the Northern Cheyenne defeated the 7th Cavalry under Lt. Col. George Armstrong Custer on June 25, 1876, annihilating Custer's battalion and seeming to bear out Sitting Bull's prophetic vision. 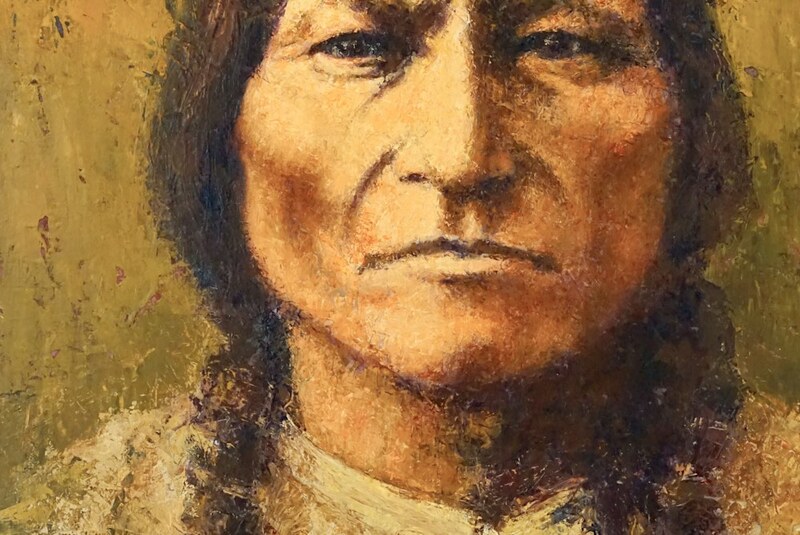 Sitting Bull's leadership inspired his people to a major victory. He was killed by Indian agency police on the Standing Rock Indian Reservation during an attempt to arrest him, at a time when authorities feared that he would join the Ghost Dance movement. Photo D F Barry, Bismark, Dakota.